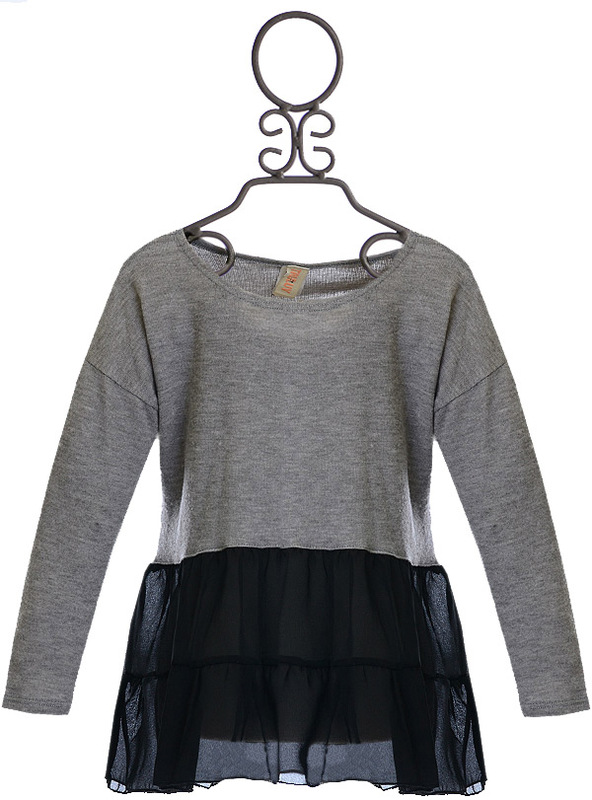 $23 - Pretty and posh, this simple sweater tunic from Tru Luv is sure to be a staple in her fall and winter wardrobe! The bodice of the tunic is constructed from a soft knit material in a simple shade of heather grey and features a dropped style shoulder and long sleeves as well as a scooped neckline. From a high-low accented waistline falls a tiered ruffled skirt of black chiffon fabric that flows beautifully over skinny jeans or leggings to create a flawless ensemble!